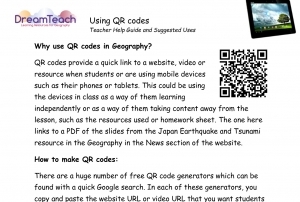 This guide explains how to use QR codes and how they may benefit students in Geography. There are also suggested uses for Geography. This poster has some QR codes attached that will help your students such as a revision help guide and links to some case studies and entire set of revision notes for rivers KS4. 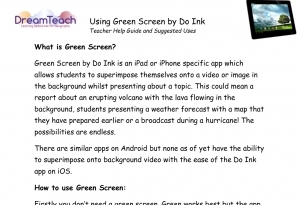 This guide gives a run down of how to incorporate Green Screen into Geography lessons. This is a link to some video backgrounds stored on DreamTeach's Flickr site. 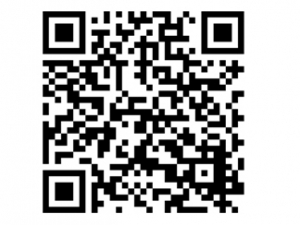 Students can find downloading these to a tablet difficult so ask them to scan the QR code here to arrive at the page and use the suggested video or image backgrounds. 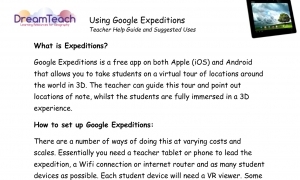 This guide explains the possibilities in terms of equipment required for expeditions and then the whole process in setting up and delivering an expedition to students. 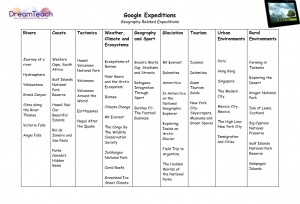 This list suggests relevant expeditions by topic. 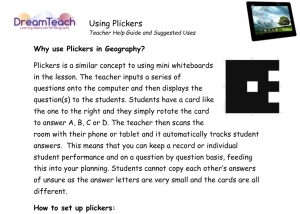 This user guide explains how to set up and use the Plickers question app in your classroom.